One of the best moments in life is coming home to see the welcoming smile of your furry little friend. There has never been any doubt that for some, this can be considered the highlight of what would have otherwise been an ordinary or exhausting day. After all, pets have their own unique ways of working into our hearts insomuch that we regard them as more than just simple-minded animals but a part of our family. Indeed, pets can bring warmth and joy into a home which modern gadgets, no matter how innovative, can never emulate. In this regard, it can be rather hard to part with them. Unfortunately, not all residential setups would allow your furry friend to take up residence with you. But if you are lucky enough to find one that does, you need to abide by a standard set of rules. These rules, albeit unspoken, are necessary to ensure that everyone in the condominium complex can live harmoniously with each other. As much as you wish it were the opposite, not everyone shares your affinity for four-footed animals. With this in mind, you need to respect these unspoken rules to make life easier for you, your pooch and everyone else. Take note: Living in condominiums means that you get to share a lot of common areas with your neighbor. Not only that but as they generally live in proximity to you, they would probably have an idea of what is going on in your unit. So, if you are keeping a pet on the sly (even when an association rule has expressly forbidden it), you might want to consider giving it away. If you cannot dedicate time to housebreak your pets, then you are probably not responsible for owning one. The moment you take your four-footed friends home, be sure to housebreak them and teach them where they ought to go. Your living room, bedroom, kitchen or any part of your condo’s interior should not be their toilet. It might be relatively easy to clean, but the stench is not something you can easily eliminate and would have a tendency to stick to the furniture and walls of your unit. If you intend to sell or rent out your unit in the future, this will be a potential problem. Be a respectful and considerate pet-owner by cleaning up after your pet regardless of whether they left their droppings in your condo unit or any common areas. In this respect, be sure to always have a plastic or paper bag with you should you be walking your dog in the condominium’s grounds. Encountering animal poop will always be unsightly—regardless of whether it might be on the sidewalk or the hallways. Similarly, you should also routinely clean your cat’s litter box and your pets’ respective cages if you do not wish your unit to reek and have your neighbor’s smell your pet’s foul-smelling pong. Inevitably, your pets would wish to mark their territory which is especially true for cats and dogs. Unfortunately, their territory would include your condo unit. 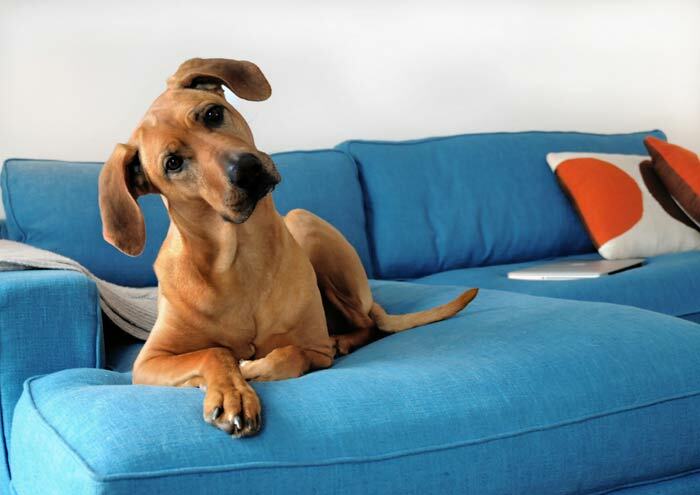 In this regard, if you have male pets, you can expect them to make their mark on your furniture or your walls unless they are expertly trained and housebroken. Should any marking occur, be sure to scrub the surface with strong soap or the smell would stick. Furthermore, you would also need to routinely vacuum as pet dander tends to get everywhere. Be sure to bathe your pets once a week and adequately pat dry them. Lastly, it is not enough that you keep them clean, but you have to sanitize and spruce up their homes as well regularly. Not everyone shares your love for pets, so you can expect some of your neighbors to be a bit agitated when you walk your pet past them. Seeing as your proclivity for animals is not a universal trait shared by everyone, it is best to keep them on a short leash whenever you are walking them around your complex. In this way, they would not go scaring some of your neighbors if they have this tendency to be playful around people. Likewise, ensure that your smaller pets would not get loose and escape the confines of your units as your neighbors would not want them on the loose. Apart from ensuring that they do not get loose, securing them is also a way to guarantee that they would not fall off the condo terrace. Any discussion about moving in or living together should be a serious conversation wherein all aspects should be adequately covered and all other options explored. It is never to be taken lightly and should not be done on a whim—especially if the type of living settlement you are looking into is one that involves your family living together with your in-laws. You may have a range of reasons for wishing to do so, and if you and your spouse are still starting out, this kind of living arrangement is very much understandable. However, regardless of whether you wish to begin a multigenerational family home or simply because financial constraints would not allow, you should know that living with your in-laws can potentially disrupt the family dynamics and would often shift its equilibrium. This is because, more often than not, in-laws would still think of themselves as parental authorities and may have the inclination to meddle with the way you run your family. In this regard, friction and tension may ensue and may disturb the familial harmony among family members. household responsibilities. Moreover, you and your spouse should have at least one night to yourselves. In any case, come up with boundaries and rules you can all agree on and one that would maintain the friendly atmosphere in the family home. are duty-bound to support your spouse in almost every situation, choose to sit this one out. Do not meddle and never take sides. 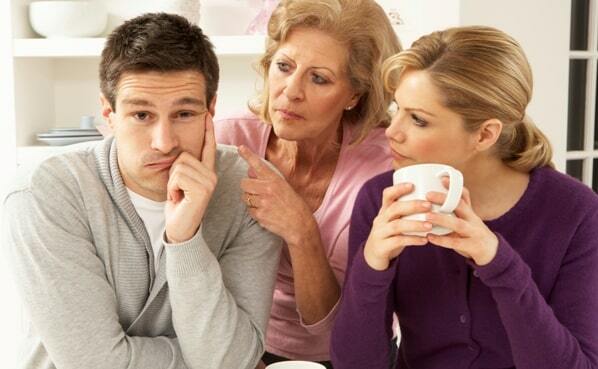 Once your spouse starts fighting with any member of the primary family, stay out of it. You might wish to go to another room as more often than not, arguments and conflicts such as that would make you feel like an outsider and it is something your spouse would not likely wish for you to witness. At some point, conflicts are inevitable, but everyone will eventually get used to them and make up at the end of the day. One thing that can be a bit of a challenge to come by when you are living with your in-laws is finding privacy. This is especially true if you are a newlywed living with your spouse’s parents. At times, sneaking around can feel like the both of you are still in your teenage years and going behind your parents’ backs. Unfortunately, while it might make you feel mischievous, it can be one way to dampen the intimacy, and it can get old pretty fast. To ensure that this does not happen, designate areas that are off-limits to your in-laws. If you are living with them, then it is best to ask if you and your spouse can have a day of the week wherein you can be alone. Sure, living with in-laws can bring all sorts of stress and can be incredibly draining. However, it does not have to hurt your marriage, and the moment it does, you might need to take a step back and ask yourself whether this type of living situation is still ideal for you and your partner. Alternatively, you can seek the help of a counselor or family therapist. If things at home are not as happy and peaceful as it once was, ask a professional to mediate things. Remember, your marriage should be your number one priority. Today, owning a home has been seen as the financial pinnacle for most individuals. After all, home ownership is widely considered as the biggest and most significant investment you would ever make, so it would be understandable why so many people would consider this as their primary investment goal. So you recently got an increase and think you are now financially capable of buying a home. Not so fast, however, you need to do the math and determine what your prospective costs would be. Remember, you would not only be paying for your home’s price tag and monthly mortgage. You would need to consider various utility bills, home insurance and a myriad of other actors as well. Take a gander at your finances first. Take note: Just because you can pay the down payment does not mean you can already afford the home. So, you have done the math, and you have found that not only can you afford the house’s down payment, annual insurance payments, and monthly mortgages, but you can pay the monthly bills as well. Unfortunately, this still would not make for a compelling case wherein you are already financially able to buy that house. You need to consider how much debt you have and if most of your credit cards are maxed out, you might want to take care of those first before adding another potential debt to your list. Reevaluate your spending habits first before you commit to buy a home. Improve your relationship with money so that you can increase your chances of being able to pay your mortgage. If you have saved enough to afford the down payment, then good for you. However, this does not automatically mean you can already buy the home. Evidently, you are going to need far more than that. How else would you be able to maintain your home and spend for any emergency repairs that you might need? If you have just enough to pay the down-payment, then you might want to reconsider buying a home for now. if you recently went through a significant job change, wait a while until you can finally buy a home.